When the folks at Aomei contacted me about reviewing their Partition Assistant partition manager once again, I was less than enthusiastic. It was, and remains, a fine utility, but it’s a rare user that requires anything more than the old version or Windows’ own Disk Manager and Diskpart utility. Then a bit on the PR blurb caught my eye—creating Windows To Go drives (portable Windows) from any version of Windows 8. Formerly, this was only possible with the Enterprise version. Game on. The Pro version adds the ability to convert Windows dynamic disks to basic disks, change partitions from logical to primary, alter partition IDs and serial numbers, convert disks from MBR to GPT and back again, as well as allocate free space from one partition to another. If all that sounds rather esoteric, you don’t need the professional version. But those are undeniably handy features for IT types that need to manipulate and maintain drives and partitions on a regular basis. Partition Assistant provides wizards for many tasks, but the main window disappearing is a bit of a visual jolt. Partition Assistant’s interface will be familiar to anyone who’s used such a utility in the last decade or so. 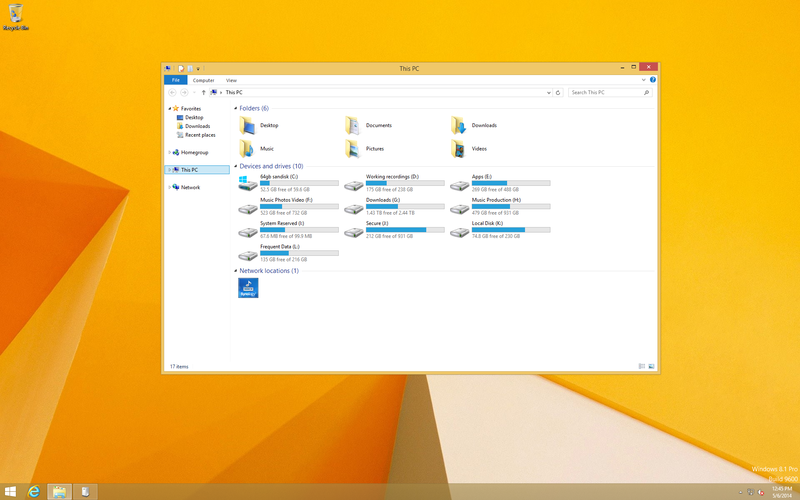 There’s a list of tasks to the left and a pane displaying your system’s drives and partitions to the right. Simply choose the drive or partition, then apply an action from the task list. It’s all perfectly simple, assuming you understand drives and partitions. The wizards are the weakest part of the interface. They’re easy-to-use and work well, but the language is sometimes shaky (for English users) and the main window disappears for some reason—an odd visual jolt. Windows 8.1 Professional running from a 64GB Sandisk Extreme Flash drive. Aside from using the Professional, rather than the Enterprise version of Windows 8.1, I also employed a non-certified 64GB flash drive. Microsoft only tech supports certain “certified” drives, of which there’s a list on the Windows To Go Web site. But as this is all a bit non-standard (to be polite), you’re not getting any support anyway. While my Sandisk 64GB Extreme isn’t certified by Microsoft for the task, it is USB 3.0 and fast. USB 2.0 will make Windows drag. Note that you need at least 13GB free on the drive, which in practical terms means you’ll need 16GB drive, or more likely 32GB if you intend to install any software and actually work with it. 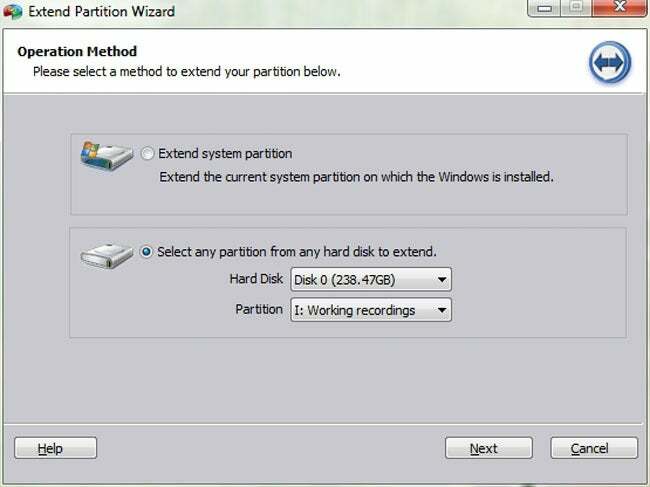 Partition Assistant will create the disk for you, but you’ll still need to activate Windows. And, I didn’t drag it around to other PCs to see if the activation would crack. Aomei claims there should be no issues as long as you use a legitimate version of Windows 8.x. As partitioning software, Aomei Partition Assistant is as good as any program I’ve seen. The standard version is more than adequate for most users, and the pro version is as good as it gets. I have some nits concerning, but the Windows To Go trick trumps those gripes big time. For that alone, it’s worth a look-see.